Avengers Infinity War is cruising smoothly its way to breaking all the box office records. Even before the release of the movie the buzz around it was so intense that there were no doubts about it not being a hit. 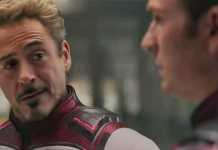 With Russo Brothers at the helm and potent star cast, the central question was that how fast it will grow and for how long. 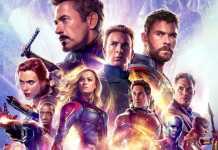 The box office collection of Avengers Infinity War stands currently at $250 million which makes it the highest grossing movie over the weekend, easily surpassing the Star Wars: The Force Awakens which earned $248 million. These collections only represent the US box office, if you look at the international figures, they leave you even more bamboozled. The two-day aggregate stands at $630 million (4100 crores) keeping it in the second spot just behind The Fate of the Furious at international level. This superjet named Avengers Infinity War filled with Superheroes is not going to stop any time soon as most of the studios have stayed away from coming face to face this giant. The movie will experience minuscule turbulence when Tully and Overboard will hit the theatres, but they will surely die soon enough from the onslaught of Avengers Infinity War. The movie is undoubtedly not a feel good like other Marvel movies and takes a toll on you if you are a die-hard fan. However, that makes it unique and a pure masterpiece, because of, that it can take the road which no other superhero movie has ventured. In the long run, everyone will love the film and praise Russo Brothers for their smooth handling of this much-complicated crossover event. With positive feedback from around the globe, the movie will have a smooth run ahead. The surprising fact is that the film is yet to hit the major markets like Russia and China. Both of these Markets will shower money on the Marvel Studios, and I may not be wrong in admitting that it can quickly become a highest grossing movie ever beating Avatar and Star Wars. The film will sit on the throne for a quite long and will get significant competition in 2019 from Avengers 4 and Star Wars Episode IX. In both the cases, the Mickey Mouse(Disney) is the real winner. Those who have seen the movie and think it was too dark and soul-wrenching, can wait until May 18 when the Merc with Mouth will appear on the screen to make the environment more cheery and light-hearted with Deadpool 2. FLAMES Web Series Review, humour king Lalit Shokeen’s cameo as Janu Bhai. Kriarj Slammed Officially For Material Breaches By JA Entertainment Regarding PARMANU Movie.